Very good wheelchair accessibility. One of the most wheelchair friendly castles in Japan. You can look up the wheelchair route of the castle on the web. The easiest access is Okinawa monorail. This is the reconstructed castle former Ryukyu Kingdom Palace. It was originally built in the 14th century. 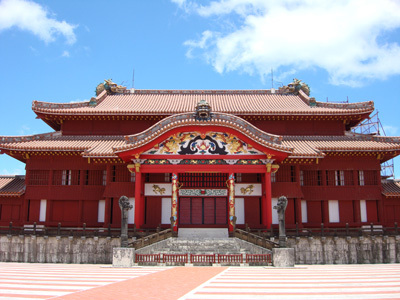 Ryukyu Kingdom continued until Okinawa became a part of Japan's territory in 1879. 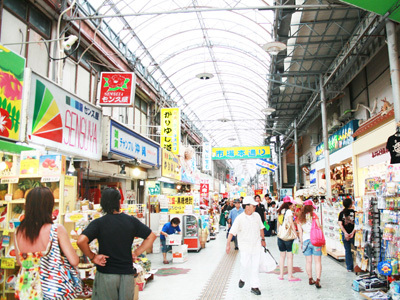 Naha's main street. 2km long. Easy access on wheelchair. Some monorail stations (fully accessible) are near the street. Restaurants, cafes, bars, hotels, souvenir shops, and department stores. Many shops are open until late night. Perfectly wheelchair accessible. Great service. Above all, the aquarium provides excellent information on the web. Just read it. A wheelchair accessible bus runs between Ocean Expo Park and the aquarium. 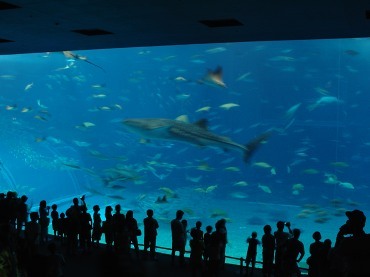 Japan's best aquarium. 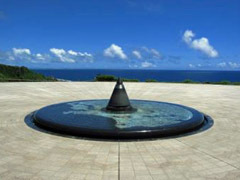 Okinawa Main Island was the site of one of the bloodiest battles during World War Second. US army invaded and occupied the island. The park and Peace Memorial Museum are wheelchair accessible, but the road are a bit hilly. Nice ocean view, but many people committed suicide around it during the war. A theme park for tourists. Gyokusendo Cave is the most popular spot among tourists. The 850 meter cave is open to the public. But wheelchair users cannot enter it because of the long stairs. Except the cave, other facilities are all wheelchair accessible with lifts, ramps, and escalators. A beautiful scenic spot. 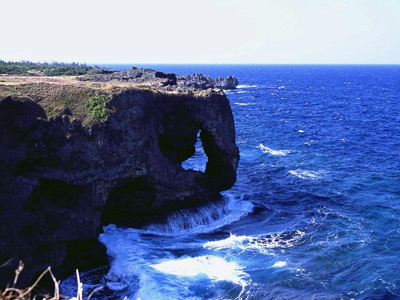 A cliff shaped like an elephant nose. Wheelchair users can reach the view spot. Enjoy seeing the pure blue ocean, too. Non-step walking trail to the view spot. Free of charge. Free parking. No public transportation. An outlet mall near Naha Airport. Fully wheelchair accessible. Free shuttle buses run from the airport. But they are not lower floor buses. Actually, there are very few lower floor buses in Okinawa. 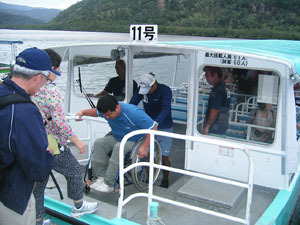 Only one lower floor bus runs from Naha Airport for tourists with disability. Ask Okinawa Barrier Free Tour Center about the bus at the airport. Brilliant beach and world famous diving spot. The airport has no boarding bridge, but stairs lifts are available. The port is fully accessible. All the ships have ramps to the port. Some new ships have wheelchair spaces and a large toilet. People in the island are so kind. The famous tourist spot called "Kabira Bay" is not wheelchair accessible, but kind staff help us to get on the glass boats whose bottom is made by glass that enables you to observe the underwater world. 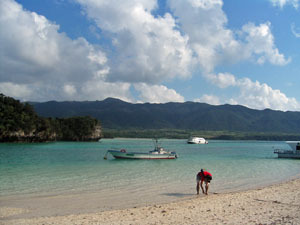 10min from Ishigaki Island by ship. This small island is very flat. Easy to go around by walk. 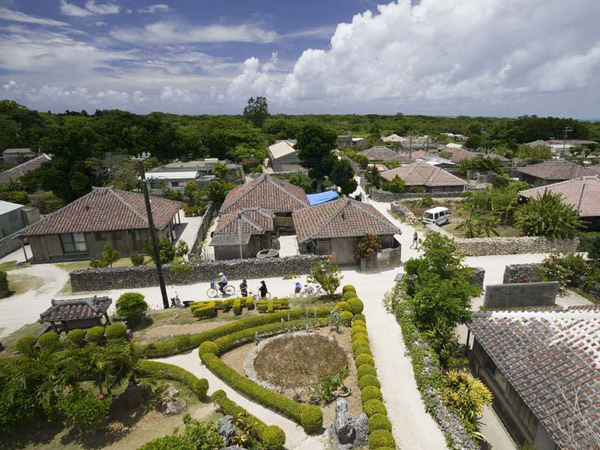 Many unpaved sand roads in a village, but the surface of roads is hard. So it is not difficult to walk on wheelchair. Nice beach on the west. Wheelchair accessible toilets are available at the port. 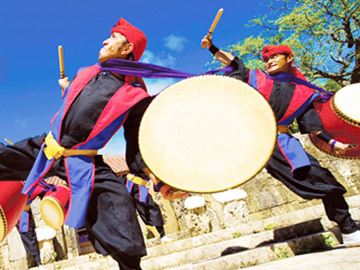 Enjoy the traditional island life.